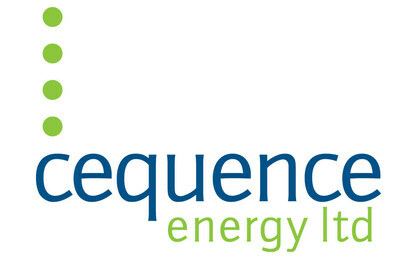 CALGARY, May 29, 2018 /CNW/ – Cequence Energy Ltd. (“Cequence” or the “Company”) (TSX: CQE) is pleased to announce the Company has extended its Senior Credit borrowing capacity with its Syndicate of Lenders. The borrowing base has been reduced to $9 million (previously $12 million) with an extension term until July 31, 2018. The Company remains undrawn on its Senior Credit facility other than approximately $1.5 million in letters of credit. As at March 31, 2018, the Company had $74.5 million in net debt comprised of $60 million in senior notes carrying a five year term (maturing in October 2018) and a working capital deficiency of $14.5 million. The Company continues to actively pursue various strategies to improve its liquidity position including: ongoing discussions with CPPIB Credit Investments Inc. as the sole noteholder, debt or equity financing, potential business combinations or other restructuring. Management is hopeful that it will be able to implement one or more of these strategies prior to the CPPIB senior notes maturing, although that is not guaranteed. Further details are set forth in the financial statements available on SEDAR. Certain statements included in this press release constitute forward-looking statements or forward-looking information under applicable securities legislation. Such forward-looking statements or information are provided for the purpose of providing information about management’s current expectations and plans relating to the future. Readers are cautioned that reliance on such information may not be appropriate for other purposes, such as making investment decisions. Forward-looking statements or information typically contain statements with words such as “anticipate”, “believe”, “expect”, “plan”, “intend”, “estimate”, “propose”, “project” or similar words suggesting future outcomes or statements regarding an outlook. Forward-looking statements or information in this press release include, but are not limited to, statements relating to management’s plans to seek to implement a debt or equity financing, potential business combinations or other restructuring prior to the maturity date of the CPPIB senior notes. Forward-looking statements or information are based on a number of factors and assumptions which have been used to develop such statements and information but which may prove to be incorrect. Although the Company believes that the expectations reflected in such forward-looking statements or information are reasonable, undue reliance should not be placed on forward-looking statements because the Company can give no assurance that such expectations will prove to be correct. Forward-looking statements or information are based on current expectations, estimates and projections that involve a number of risks and uncertainties which could cause actual results to differ materially from those anticipated by the Company and described in the forward-looking statements or information. These risks and uncertainties may cause actual results to differ materially from the forward-looking statements or information. The material risk factors affecting the Company and its business are contained in the Company’s Annual Information Form which is available on SEDAR at www.sedar.com.